Neiko Shea is a Licensed Clinical Social Worker in Florida. She has over 20 years of experience working in the Child Welfare system. 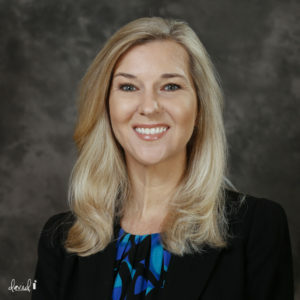 Ms. Shea has a Bachelor’s Degree in Psychology from the University of Florida and obtained her Master’s Degree in Social Work from Barry University in Miami, Florida. She started her career in Florida as a case manager working with adolescent girls in a Child Welfare group home who had suffered histories of trauma and abuse. She continued her career as a therapist working with children and families and then went on to serve as a Clinical Director for an agency that provided Therapeutic Foster Care and other foster care and behavioral health services. She went on to serve as the Director of Service Coordination, and was later promoted to the Vice President of Network Development, for the Child Welfare Community-Based Care Lead Agency in Broward and Palm Beach Counties. After 10 years in that capacity, she pursued a passion in adoptions and accepted an opportunity as Executive Director of a private Adoption Agency. Currently, Ms. Shea is the Vice President of Child Welfare Programs at Sunshine Health in South Florida. Lastly, and most importantly, Ms. Shea is a proud mother of 3 children, Colin, Addison, and Brennan. She and her husband adopted Addison and Brennan in 2007.